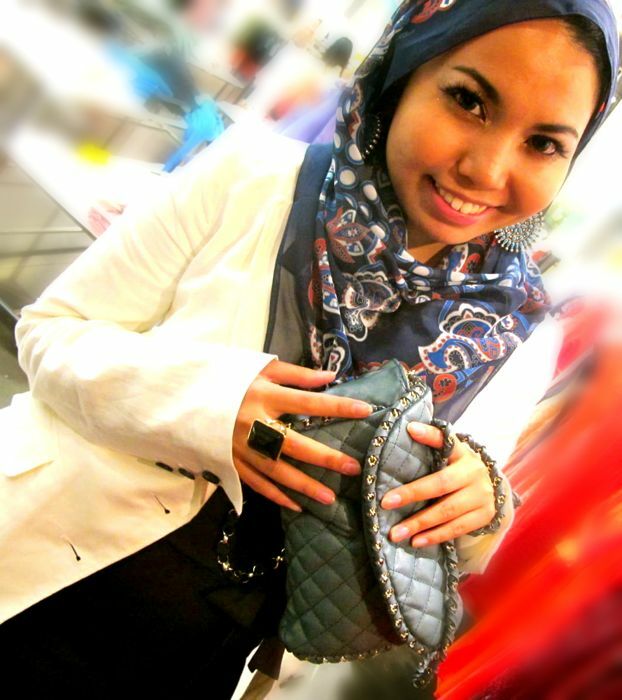 Shazwani Hamid's Blog: Style Up Yourself! 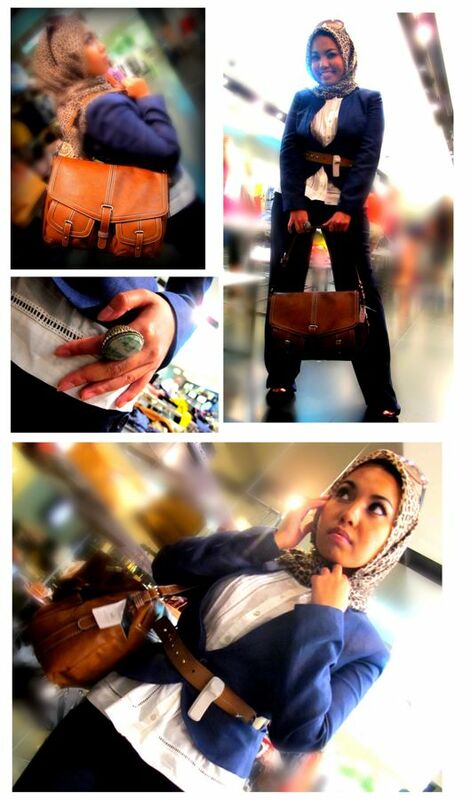 Then, just strike a pose for the camera...and walla! You're in for the competition already!! Isn't it fun and easy??! And best of all, you don't need to purchase anything! And in fact, you will be given a 5% discount card upon entering the contest! How awesomeee! Now here are some details of the contest, and the contest mechanics if you would like to join it! Participants will be given a Next Step Card upon filling up the application form & submitting their photo/s. 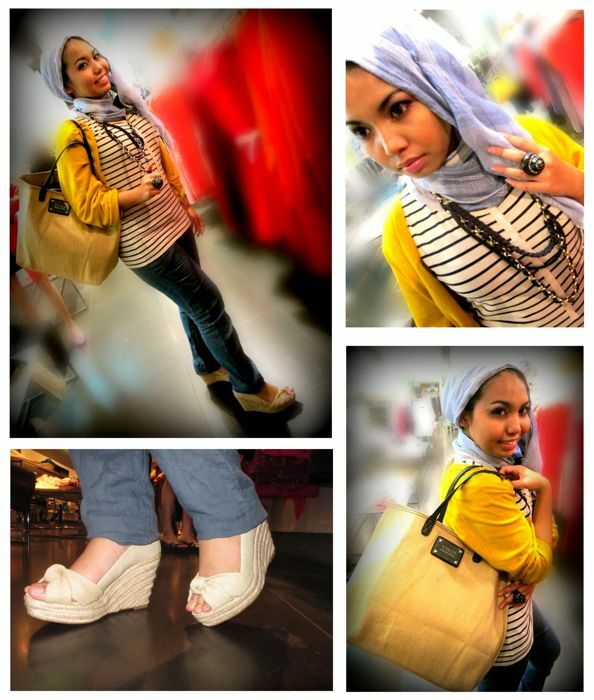 Ask your friends to be fans of MANGO fan page on Facebook. 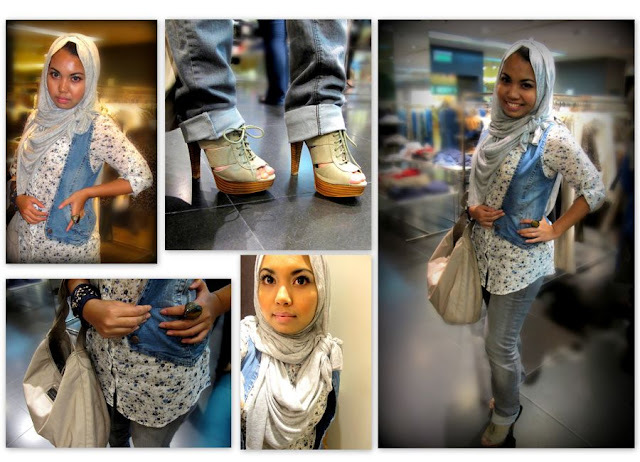 Go to the Style Up Yourself tab and get them to vote for your look! Total 4 winners : One (1) winner per look. 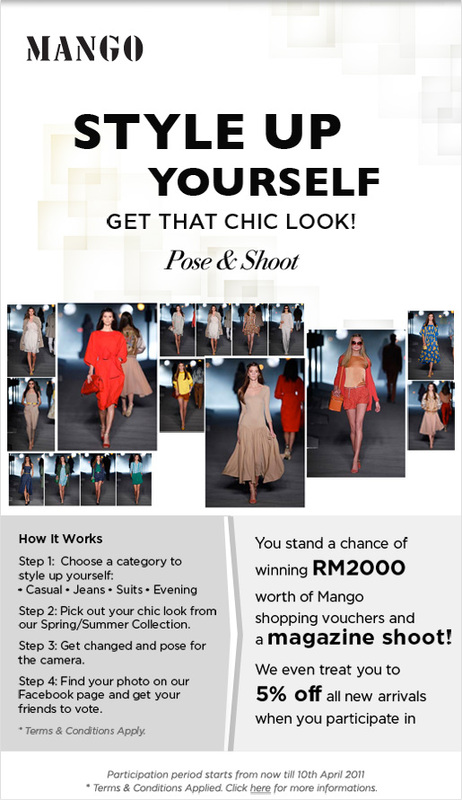 Winners must allow photo shoot opportunities in 4 magazines wearing MANGO apparel. Details of the magazine shoot will be informed after the winner announcement.